There’s a magical, mystical land where ancient, dense rainforests cloak majestic mountains, their serrated silhouettes marching across a dramatically sensational skyline. Where vertically columned cliffs fall into fertile valleys patch-worked with produce and criss-crossed by rocky streams. Picturesque hamlets dot the landscape providing shelter, food and a base from which to explore their impossibly scenic surroundings. Numerous National parks showcase amazing natural attractions, wilderness and World Heritage forests which soften the harsh edges of the ring of ranges – once volcanoes – that define the Scenic Rim. It’s a land where every journey is an adventure; every spot has a new surprise; and round every corner is an intriguing vista inviting the traveller to explore. Water, mist and cloud; green and verdant jungle; high mountains and cold nights – is this REALLY Australia? I succumbed to its splendour on arrival; I left a little piece of my heart behind when I left. But that means my return to the Scenic Rim is one day assured. Only an hour south-west of Brisbane or west of the Gold Coast in Queensland’s south east, ‘Scenic Rim’ describes ranges rising sharply above the valleys to form a semi-circle. It’s a wonderfully diverse region that’s WAY too big for just one visit. And it’s WAY too big for just one post! So sit back, relax, and enjoy the first instalment of random Scenic Rim adventures – then take the link to Part Two HERE! 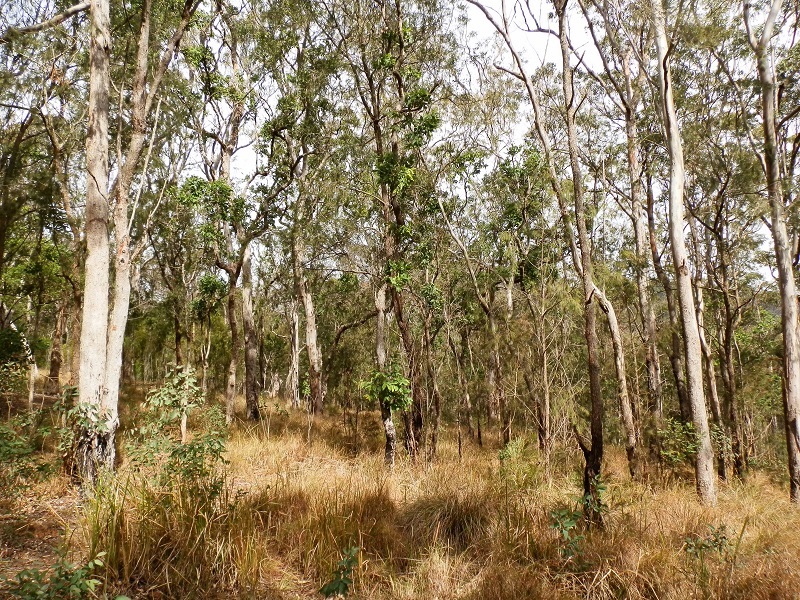 For a quiet Sunday morning at the end of a rough and rugged transport trail, once the main trade route across the ranges to Brisbane, the Spicers Gap carpark was jumping. We squeezed into a spot between a massive 4WD vehicle and a rustic wooden fence. 300 metres down a narrow foot trail, it was standing room only at the Governor’s Chair Lookout. A large mixed-age group had commandeered the rocky ledges overlooking the valley below and it sounded like someone was giving a speech. Crap. Maybe taking in the reportedly spectacular view from #7 on our Scenic Rim Lookout list wasn’t going to be as easy as we’d thought. But there was no way we’d driven this challenging road to miss out on seeing The Governor’s Chair. The lookout was a public place. Perhaps it was time for my two good elbows to get a workout. As we drew closer, I could hear what the speaker was saying. Double Crap. Pushing my way to the vantage point at the edge for a look-see while ancestral ashes were being scattered during a memorial service was out of the question, even for me. The Spicers Gap road, hand-built and maintained from rock and wood in extremely challenging terrain and weather conditions, was an amazing feat of engineering for its time Walking a stretch of the road – now preserved as a conservation park – made me realise how soft we’ve become since we stopped being pioneers. Despite the dull day, back at the lookout (now thankfully family-free) I could see why George Bowen – Queensland’s first governor – referred to it as an ‘incomparable panorama’. And why it makes a perfect last resting spot. Tempting though it was to climb either Mt Mitchell (1162 m) or Mt Cordeaux (1144 m) towering above either side of Cunningham’s Gap, most memorable of our Scenic Rim range crossings, the warnings of sheer cliffs edges, serious injury and/or death were off-putting. So we chose the more benign Rainforest and Palm Grove Circuits. 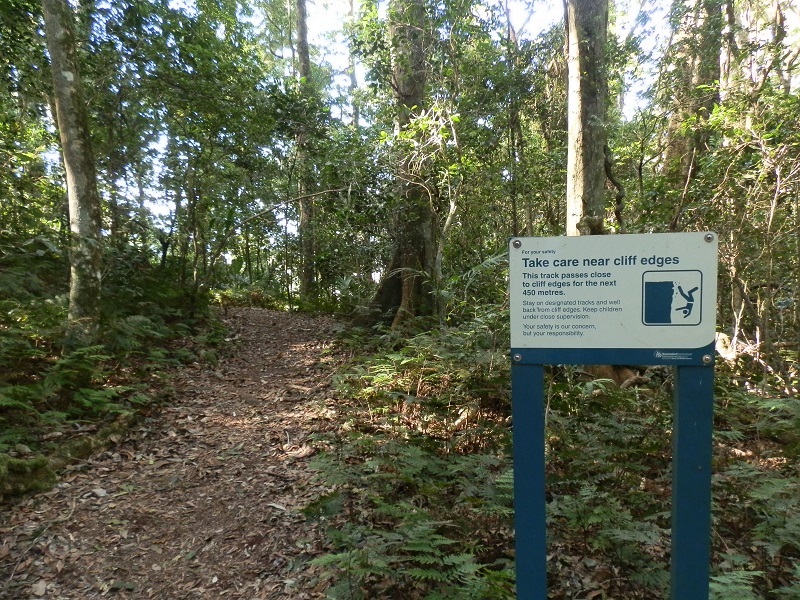 Tragically however, the sign at the Palm Grove trailhead also warned of steep cliffs – but apart from one scary drop-off into oblivion where I closed my eyes and scuttled across, hugging the side of the mountain worked for me. Having the foresight to pick up a bakery lunch also worked for me. And sitting in the picnic ground with that lunch got me a rare sighting of the Liz Taylor of the bird world – Satin Bowerbird with its incredible violet eyes! In the unlikely event the Kalbar Bakery hasn’t got what you want, it’s a pretty safe bet that just a few kilometres away, outlet #2 at Aratula WILL. Impossible to pick a favourite, we gave both bakeries a workout – sometimes both on the same day – during a week in the Scenic Rim region. Usually, a Bakery BIG 3 consists of a pie, a sweet and a drink – for me, the more exotic the better. But very, Very, VERY occasionally, it’s not all about the food. And on this sunny downunder winter day, we emerged from the Kalbar Bakery to find a very different BIG 3! Can you guess which car is ours? With more National Parks within cooee than you can poke a stick at (if you’ll excuse my descent into the depths of Aussie slang), you’d think there’d be enough natural attractions on the Queensland side of the Scenic Rim to keep us busy. But drive south along Carney’s Creek road, then up the range and across the Queensland border into New South Wales for a masterclass in natural attractions. Beware – this intriguing blend of Gondwana Rainforest, Scenic Rim silhouettes and bizarrely shaped mountains is so spectacular you may find yourself considering a tree-change (aka mid-life crisis) move to the Rim. Despite roads described by those more charitable than I as ‘pretty ordinary’ and ‘dirt’. From the border crossing on top of the range, the road plunged down into the Koreelah Creek valley, skirting the park’s eastern boundary. 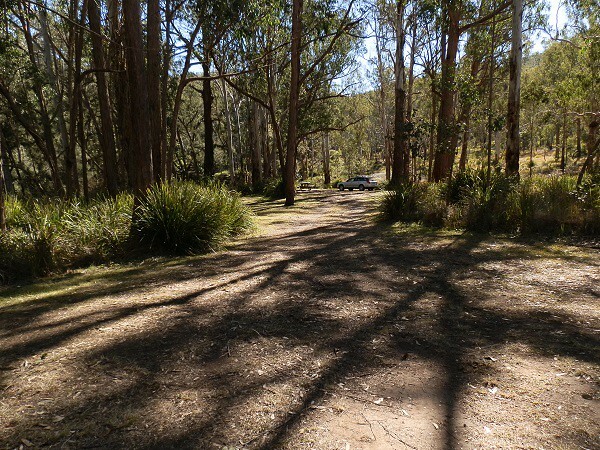 Reports of the shady, spacious – and empty – campground’s attractions included a waterfall, rocky gorge and benign wildlife such as koala, wallaby and platypus. But what I DON’T get is why the listed attractions DIDN’T include the bushland scenic public loo – OR the snake? I’m SO not a morning person. 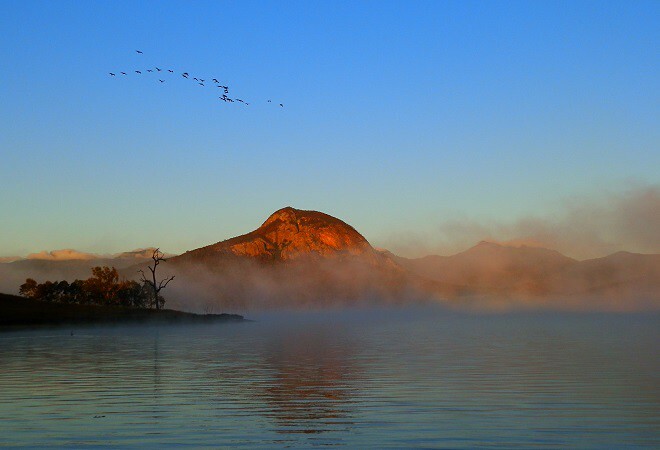 But for a Lake Moogerah morning with the sun rising through a layer of frosty mist over the water against the magnificently mountainous backdrop of the Scenic Rim, I’ll make an exception any time. After escaping the freezing night temperatures between polar flannel sheets in our cozy camper-trailer set up in the Lake Moogerah Caravan Park, you’d think the last thing on earth I’d want to do was face the frigid dawn. And you’d be right, except for one thing. The call of nature, right on cue around sunrise. Once I was up, daybreak cast its spell and I wandered the foreshore as the sun touched the magical mountain tops, photographing the ever-changing landscape ’til my fingers went numb with cold. I wonder could anyone tell I was still in my pyjamas?! Random Adventures in the Scenic Rim PART TWO! Like it? SHARE it! Buttons below!! 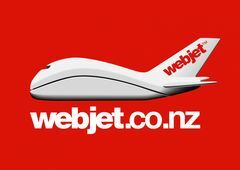 « See Sydney in 4 hours between flights! 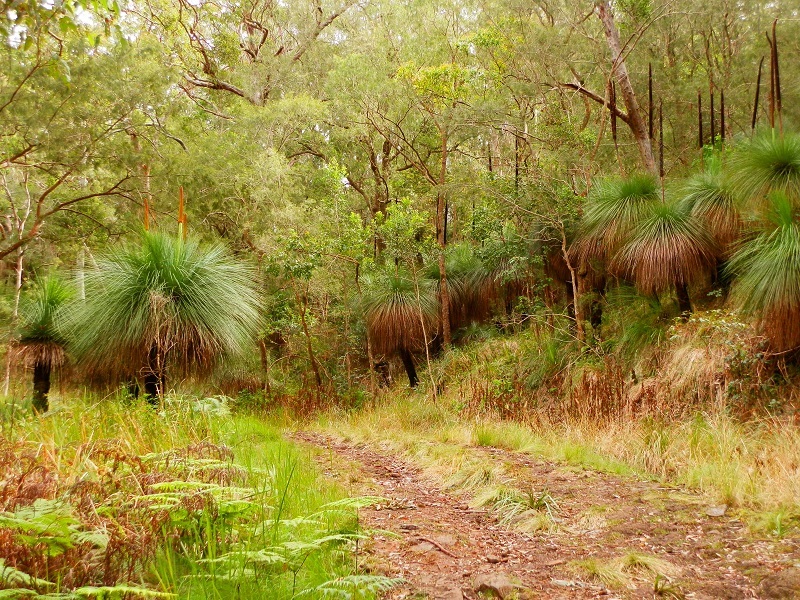 The Scenic Rim is indeed a wonderland that seems to be overflowing with the treasures of nature. The elements of nature seem to have created a beautiful symphony here. The sunrise is amazing, look straight out of a painting. Thanx Sandy N Vyjay! I’d never heard much about this region until I went there – it’s an amazing place and I’m glad you got that from the photos! Oh my Goodness! What a beautiful place. It’s sensational, Imagebloke! And if our car hadn’t been on the verge of collapse we would have stayed longer! Stay tuned for Part Two!! Stunning, awe inspiring photos, especially ‘Sunrise with Swan’. I have photo envy! 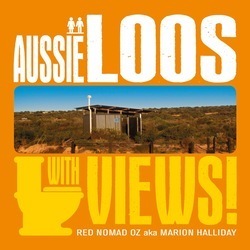 Such descriptive, evocative and gently humorous turns of phrase give life to the Scenic Rim. Well … anyone who’s prepared to risk public ridicule by taking photos outdoors on a freezing morning in pyjamas deserves a little photo envy, right? Seriously, thanx for your kind comment Alison, but the Scenic Rim is SO cool my poor attempts at capturing its magnificence don’t really do it justice!! What glorious country and so beautifully captured in your photos! My favourite unnecessary sign states “Paths may be slippery in wet weather”. Really? Hahahaha, that’s a GREAT sign, John!! I wish I could see it!!! We just seem to have a never ending procession of stick figures in oddly unnatural poses to ‘illustrate’ what we are trying to say!! I’m glad you enjoyed your visit – have a great weekend! So much here that is just out and out stunning. Love the morning mist on the water. So you can see why I just HAD to get up early in the morning to take photos, River?? Stay tuned for more stunning moments in Part Two – coming soon!! Red, I saw a cliff warning sign for the first time in my life!! People say that there are too many warnings in Japan, that many of them are “over-protections,” and that the signs spoil the views… But it’s necessary to inform of cliff edges so that people decide to go ahead carefully or not! I feel that freedom and responsibility are balanced well. The drawing of the falling person on the sign attracted my attention the most. Should I get scared or burst into laughter?! The Scenic Rim is brilliant. Away from the coast in Queensland has never been on my agenda but it is so impressive. Btw, why isn’t your car red? Yes, the QLD coast has so much appeal, Andrew – but now that we’ve gone inland, we’ll keep exploring!! I read somewhere that only men with certain problems and women with long blonde hair drive red cars – so that’s us out!!! I’d much rather travel incognito!! Thank you, Christie – your kind comment is much appreciated! On a calm day – and luckily we had plenty of them – the reflections on this stunning lake were superb!! Stay tuned for Part Two! 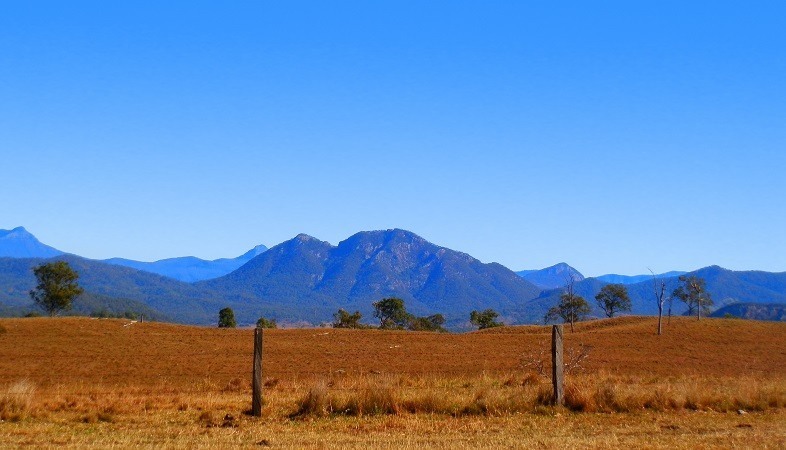 Scenic Rim – one of our favourite destinations for short trips from Brissie. Do you know Boonah was called Blumbergville in the old days? It’s always a pleasure to read your comments, Karol! You’re SO lucky to be so close to this area – and how do you know we DIDN’T see each other around?? We were the (slightly) older couple in any of the bakeries in the area 😀 And no, I didn’t know Boonah’s previous name – was it changed during WW2?? Beautiful words and beautiful photos! I have drive through this spectacular area but never really taken in its beauty. I have camped at Lake Moogerah on one occasion many years ago. It was during the drought and the water levels of the lake were very low so no where as attractive as your photos show. I think I will have to explore this area a bit more. Thank you Kathy! We had planned to visit the Scenic Rim several times but never quite made it until last winter when we couldn’t go as far north as we wanted to for various reasons. I guess we were lucky not to hit either drought OR floods – seeing where the water came up to a few years ago was SCARY!!! We still have a lot to see though – so we’ll be back someday! !